​Politicians and status quo economists tell us that if we can grow a larger economy we can solve whatever our current financial problems are. This assumes an open ended system with infinite resources. The fact is we live in a closed system. Our planet has finite resources and we are exhausting every avenue of exploitation quite rapidly. We have fished the ocean so intensely that in many places only less desirable types of fish remain. We have polluted the ocean so intensely that large "dead zones" threaten sea life and shorelines, coral reefs are dead skeletons, and a gyre of plastic the size of Texas swirls in a clock-wise rotation in the North Pacific, growing larger every year. We continue to load the atmosphere with carbon and other wastes and the resultant heating of atmosphere and ocean temperature has caused the melting of polar ice and frozen methane at the bottom of the sea. This, in turn has precipitated climate chaos, which we are already experiencing as stronger ocean storm cells and more extreme weather and temperatures on the land. Continuing down the path of a growth model of economics guarantees more of the same patterns of exploitation of the resources of the planet. The growth advocates think increasing profit and GDP is a good thing . . .
To put this in perspective and explain why it is a Ponzi Scheme, imagine if you could double your profit every day? What resources what that take? To better understand why infinite growth is unsustainable, think about the problem of rice grains on a chess board. There are 64 squares on the board. If you place one grain of rice on the first square and then double it to two grains if rice on the second square, and then double it to four on the third square, and so forth to the 64th square, how many grains will there be in all? On the 64th square of the chessboard alone there would be 9,223,372,036,854,775,808 grains of rice, or more than two billion times as much as on the first half of the chessboard. 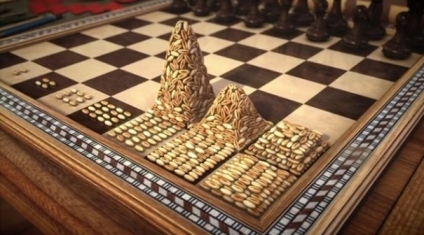 On the entire chessboard there would be 18,446,744,073,709,551,615 grains of rice, weighing 461,168,602,000 metric tons, which would be a heap of rice larger than Mount Everest. This is around 1,000 times the global production of rice in 2010 (464,000,000 metric tons). The economic system we use is constructed. There is no intrinsic value to the paper money, or the zeros and ones managed by our credit cards. We could easily imagine and implement a different system of managing our economic relationships with one another, and more important with our environment - the biosphere that supports all human life. 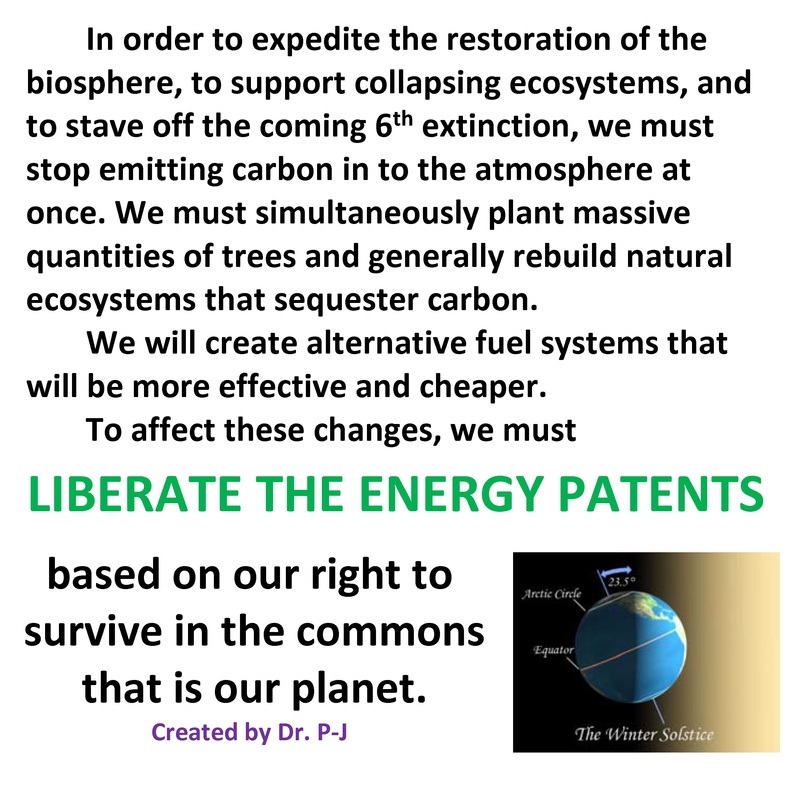 In fact if we avoid the sixth extinction, we will indeed have a very different economic system. We will not use fossil fuels to get around - that is a fact. When will this change begin? It must begin now. A carbon tax would be a good start. Thinking that we can continue to exist while maintaining the status quo is unrealistic and self-destructive.